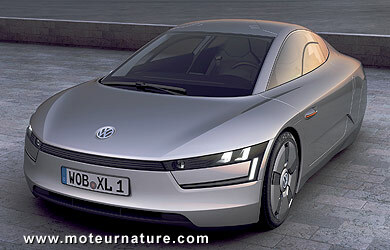 Here are some great news: Volkswagen has introduced the concept of a new super-efficient car, the XL1. A 261-MPG plug-in hybrid. This is the kind of vehicle I’m ready to travel to have a closer look, but Volkswagen made a strange choice. Because it could have unveiled this new XL1 concept at the Detroit motor show earlier this month. Thousands of auto journalists attended that show. 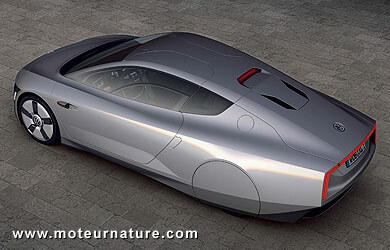 Or Volkswagen could have waited a few months, and introduce their new concept in Geneva in a few weeks. The Swiss motor show is the most international of the world. I think journalists from more than 80 countries travel to go there. I know some journalists who attend only motor show in the year, and that’s the Swiss show. 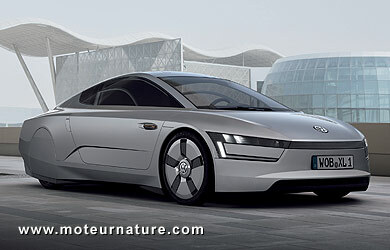 But Volkswagen chose to unveil its XL1 in Qatar! I’ve never been in that country, and I’m sure very few automotive journalists have. The Qatar motor show is not on my list of the biggest shows. In fact Qatar’s better known for its oil and the wealth that it brought to the country, than for anything else. I’ve checked the list of exhibitors. Aston Martin, Bentley, Bugatti, Ferrari, Lamborghini, all the cars I can’t afford are there. But somehow, Qatar wants to change its image. So with money from oil, the government is opening universities, research centers, and Qatar’s sovereign funds are now Volkswagen’s third largest shareholder. About 16% of Volkswagen belongs to Qataris, and this explains why the German group chose to introduce its XL1 there. I’ll be writing again about this fantastic concept tomorrow, but you may enjoy reading Hilton Holloway. He was given the opportunity to test drive it. What a lucky man!